U.S. Immigration and Nationality Law is the only area of law that we practice. The firm is located in the Hollywood area of Los Angeles, California. 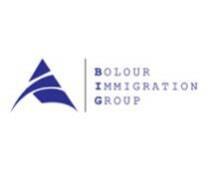 With a diverse clientele from around the globe, including Europe, South America, Africa, Australia, the Middle East, and Asia, Bolour Immigration Group has the expertise to analyze your personal situation, advise you of all your options, and recommend the best course of action to ensure your legal immigration status. The firm has assisted clients from all over the world obtain legal immigration status in both nonimmigrant and immigrant categories including O-1, P-1, E-2, H-1, and first and second preference immigrant categories as well the as EB-5 investor immigrant visa.